Um sich entfalten zu können, braucht Musik nicht nur Zeit, sondern auch Raum. Wenn Paul Horn seine Flöte im Taj Mahal, Barbara Thompson ihr Saxophon in der alten Abtei von Thoronet spielt oder Karineh Avetissian in der Grabkammer von Prinz Papak im armenischen Geghard Kloster singt, dann hallt die Raumstruktur im Klang wider. Grosse Komponisten geistlicher Musik wie Dufay oder Schütz wussten um die innerste Verbindung von Architektur und Musik. Ihre Motetten sind für Kathedralen konzipiert. Moscheen, chinesische Tempel, der Echo Canyon - Räume für Musik, die das Unbegrenzte ausdrücken und ansprechen will. Proportion, purpose, space... the fundamental principles of architecture exist on both physical and metaphysical planes. And they are the fundamental principles of the arts as welland of music in particular. 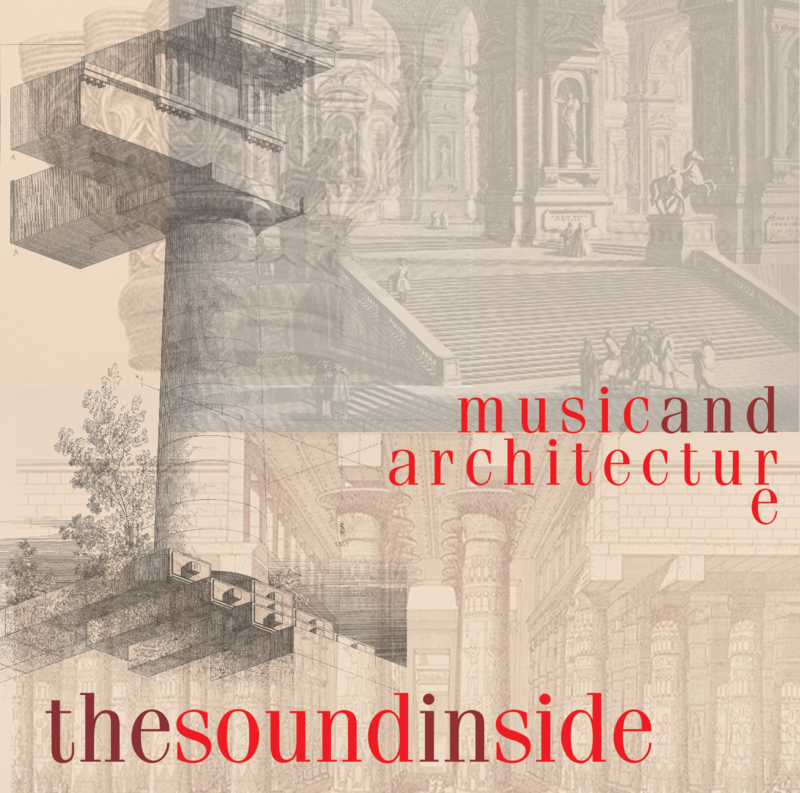 This compilation offers a diverse glimpse into this connection between music and great works of architecture, as well as some unusual, and usually beautiful sites that are not nearly so well-known and the ultimate architecturethat of the earth itself. The peculiar magic of the world's great architecture is to both distill and expand the experience of music. A reverberant space gives the musician the change to really listen. Paradoxically, this deeply personal experience can be communicated to a wider audience. Maybe it's that very intensity that enables this music to speak so clearlyto all of us who might never have the pleasure of playing one of our own creations into the echoing dome of the Taj Mahal, or the vaulted ceilings of a European cathedral, or the implacable stillness of a New Mexico night. Just listen: the spaces are in the music as much as the actual notes. Featuring some of the finest recordings ever made outside a recording studio, these recordings take full advantage of some gifted musicians working in the most inspiring settings imaginable, and in every case the site colors the performance. Paul Horn fromInside the Taj Mahal (11062) recorded in the Taj Mahal, Agra, India; China (11080) recorded in The Temple of Heaven, Beijing, China; and Inside the Great Pyramid (12060) recorded in The Great Pyramid, Giza, Egypt. Soprano Karineh Avetissian of the Haissmavourk Choir of Armenia from The Music of Armenia, Volume One: Sacred Choral Music (13115), recorded in The Tomb of Prince Papak in the Geghard Monastery in Armenia. Barbara Thompson from Songs from the Center of the Earth (15014), recorded in the Thoronet Abbey, Var, France. The Song Company directed by Roland Peelman recorded in Saint Scholastica's Convent Chapel, Sydney, Australia (previously unreleased), and from Der Schwanengesang (13139), recorded in the Sydney Opera House, Sydney, Australia. Ian Carr and John Taylor from Sounds & Sweet Airs (13064), recorded in Southwark Cathedral, London, England. R. Carlos Nakai from Sundance Season (13024), recorded in the Lindisfarne Chapel, Crestone, Colorado. Hasan Semerkantli and Sedat Altinoz of the Mevlevi Whirling Dervishes from The Music of Islam, Volume Nine: Mawlawiyah Music of the Whirling Dervishes (13149), recorded in the Great Süleymaniye Mosque annex, Istanbul, Turkey. James Newton from Echo Canyon (13012), recorded in Echo Canyon, New Mexico; and In Venice (13030), recorded in San Lazzaro Degli Armeni, Venice, Italy. Hue Traditional Art Troupe directed by La Thi Cam Van from The Music of Vietnam, Volume Two: Imperial Court Music (13084), recorded in the studios of Hue Radio. Pinpeat ensemble, musicians of Siem Reip from The Music of Cambodia, Volume One: 9-Gong Gamelan (13074), recorded in Angkor Wat, Siem Riep, Cambodia. Franz Lehrndorfer from The Concert (13109), recorded in the Domkirche zu unserer lieben Frau, München, Germany. 1 Vibrations (unidentified security Guard, voice) from Inside the Taja Mahal (11062) 1'41"
2 Akasha by Paul Horn from Inside the Taj Mahal (11062) 2'51"
3 Bats Mez Ter by Karineh Avetissian from The Music of Armenia, Vol. 1 (13115) 2'36"
4 Al Ya Zane by Barbara Thompson from Songs from the Center of the Earth (15014) 5'03"
5 Nuper Rosarum Flores by The Song Company previously unreleased 5'47"
6 Come Unto These Yellow Sands by Ian Carr from Sounds and Sweet Airs (13064) 6'26"
8 Aleph und Beta by Heinrich Schütz from Der Schwanengesang (The Swan-Song) (13139) 4'49"
9 Nat-i Sherif by Buhurizade Mustafa Itri Efendi from The Music of Islam, Vol. 9 (13149) 5'42"
10 Ise by James Newton from Echo Canyon (13012) 5'28"
11 Temple of Heaven by Paul Horn from China (11080) 3'15"
12 Dang Dan Cun, Dang Dan Dan from The Music of Vietnam Vol. 1.2 (13084) 4'30"
13 Trach Toch from The Music of Cambodia, Vol. 1 (13074) 2'15"
14 Meditation, Psalm 6 by Paul Horn from Inside the Great Pyramid (12060) 5'17"
15 Kamanche Taksim by Sedat Altinöz from The Music of Islam, Vol. 9 (13149) 1'35"
16 Of the Most High by James Newton from In Venice (13030) 6'47"
17 Toccata and Fugue in D Minor by J.S. Bach from The Concert (13109) 10'08"